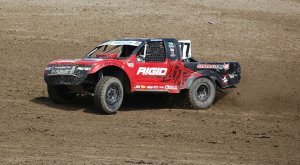 With two events remaining in the 2016 Lucas Oil Off-Road Racing Series, presented by TRAXXAS, the competitors have a close eye on the overall championship points. 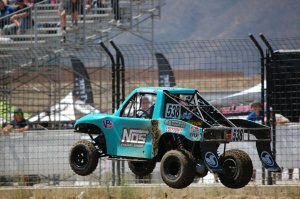 The next round will be held Sept 23-24 at lake Elsinore Motorsports Park in Lake Elsinore, CA with the final chance to grab a championship Oct. 22-23 at Wild Horse Pass Motorsports Park in Chandler, AZ. 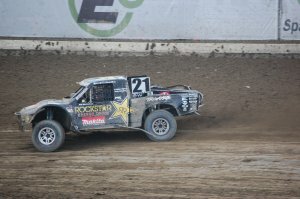 Carl Renezeder holds a slight lead in Pro 4 over Kyle LeDuc. One of the closest points battles is in Pro 4 between Carl Renezeder having six points separating him and last year’s Champion Kyle LeDuc. 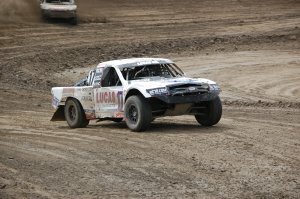 In the beginning of the season LeDuc struggled but once he worked out his new truck issues he quickly put together a string of wins to close up on Renezeder. Rob MacCachren is also in the running as he is 25 points behind Renezeder. 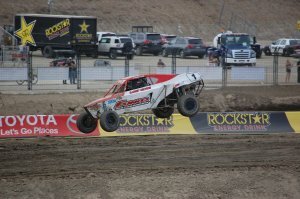 Rob MacCachren has 77 points Pro 2 lead over RJ Anderson going into Lake Elsinore. Looking at the Pro 2 championship the reigning champion Rob MacCachren has a comfortable 77 points lead over RJ Anderson. Jeremy McGrath sets a very close third with only one point separating himself and Anderson. Jerrett Brooks holds a 27 point advantage in the Pro Lite class. Battling for the Pro Lite title is another close one with Jerett Brooks leading Brandon Arthur with a 27 points advantage. Ryan Beat is only 47 points off the leader in third with 20 points separating him and Arthur. The 2015 Super Buggy Champion Garrett George is leading again this season. The Pro Buggy competitors have also kept the points spread tight in their class as well. The 2015 Champion Garrett George currently leads with 516 points to Mike Valentine’s total of 507 points. These two were one-two in last year’s series. Also in the hunt is Darren Hardesty who had only three points separating him from second place Valentine and 12 points behind George. Hailie Deegan is the current Modified Kart points leader. In the Modified Kart series Hailie Deegan holds the lead going into Lake Elsinore with 475 points and Trey D Gibbs holding 463 points earned. Last year’s Champion Christopher Polvoorde is in third with only 23 points behind Deegan and 11 points separating him and Gibbs.